The name sometimes give goosebumps , why? 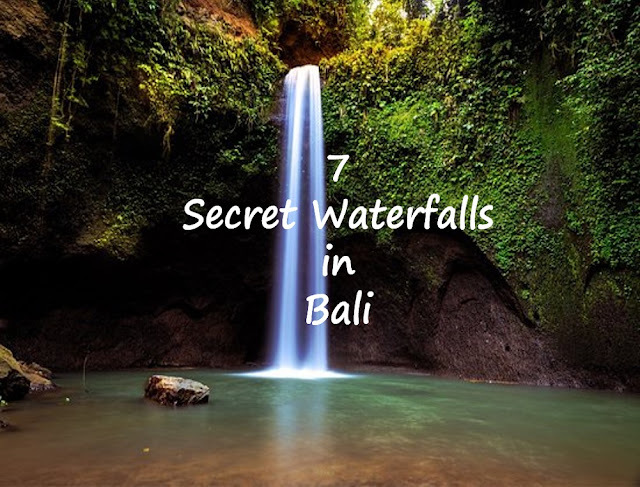 Because its one of the places where you will be transformed to the old world and feel like a real explorer in the midst of the jungles. 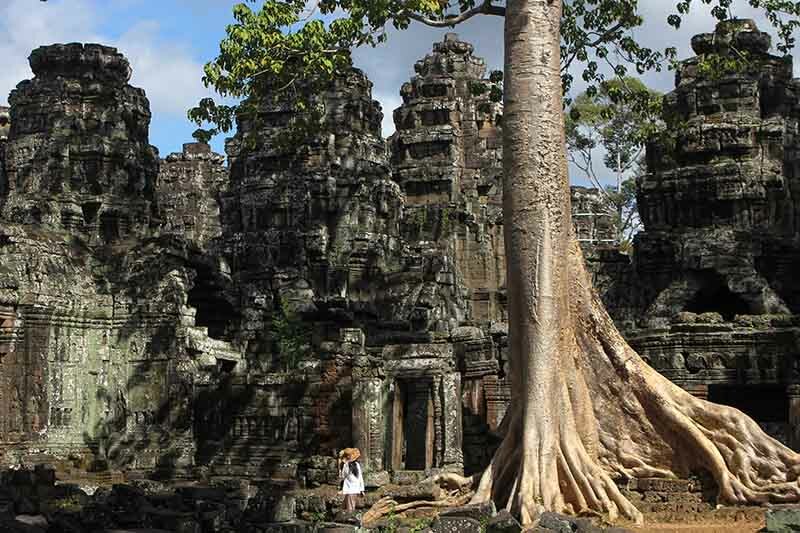 Angkor Wat is the world's largest religious monument covering 402 acres. 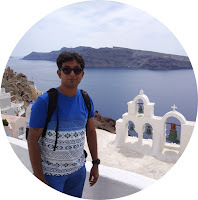 Its impossible to cover the majestic temples in a single day. So keep at least 2 days. Angkor Wat was contructed as a temple of Hindu God , Lord Vishnu during the Khmer Empire.Later during 12th Century Angkor Wat got converted into a Buddhist temple.Angkor Wat was built by the Khmer King Suryavarman II in the early 12th century.Angkor Wat was forgotten till 1860 when a french naturalist came across the lost temples. 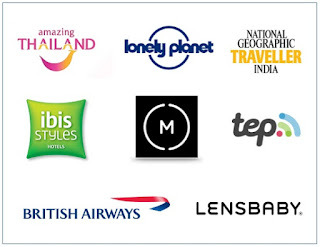 The days are non-consecutive days , hence you can visit the Angkor Temples on Day 1 , Visit Tonle Sap Lake/relax in your hotel's swimming pool on Day 2 and again visit Angkor Wat on Day 3. 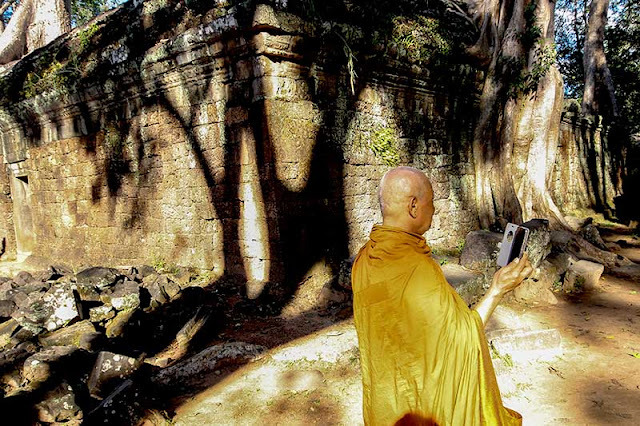 This way you will save yourself from temple fatigue and will help you to soak into the charming world of Angkor Wat. The best way to explore Angkor Wat temples in by hiring a tuktuk. 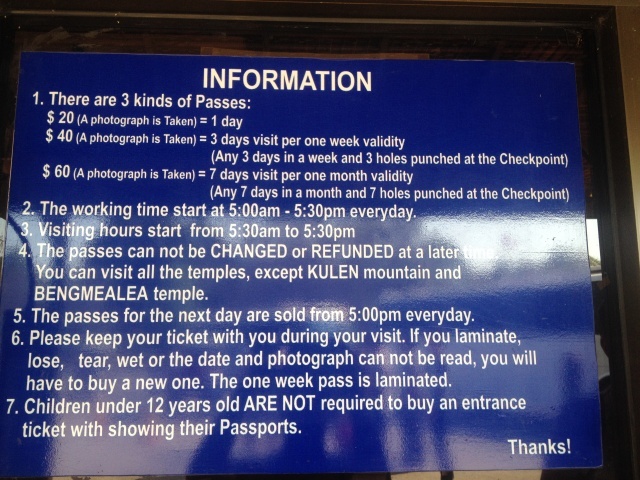 Read my blog post on Cambodia to get an idea of how much tuktuk will cost. 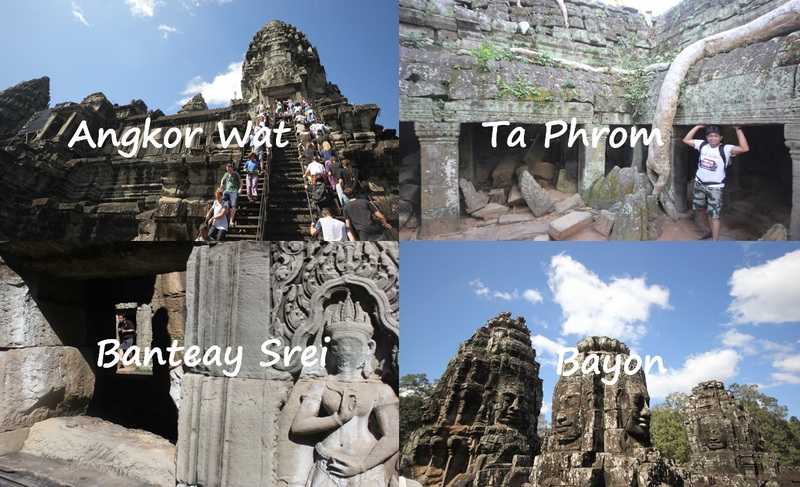 Before getting into how you should visit the vast temples of Angkor Wat , take a note of the following 4 temples which you shouldn't miss. So all set to explore the Angkor Wat ? As i said you earlier that its impossible to visit the temples in Angkor Wat in a single day hence you need to plan out the temple visit spread over 2 days. 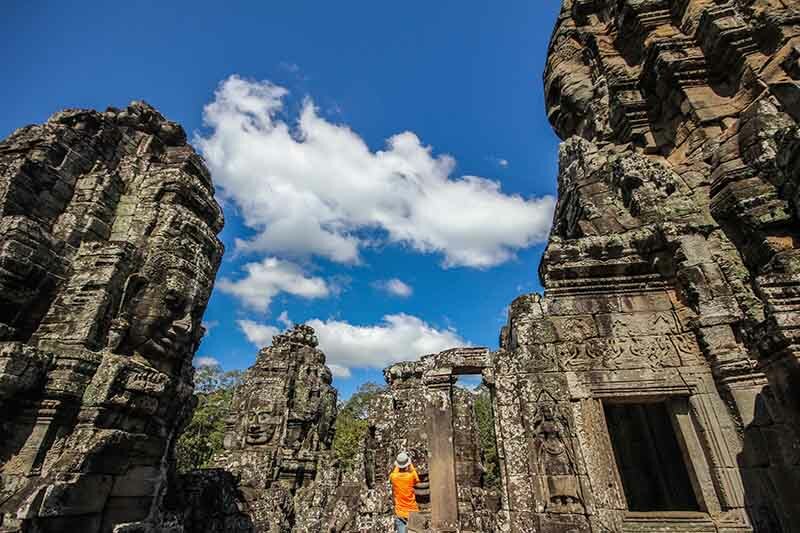 Generally if you speak to any travel agents , guide or tuktuk for visiting the temples of Angkor Wat you will hear two words Grand/Big Circuit or Small Circuit? 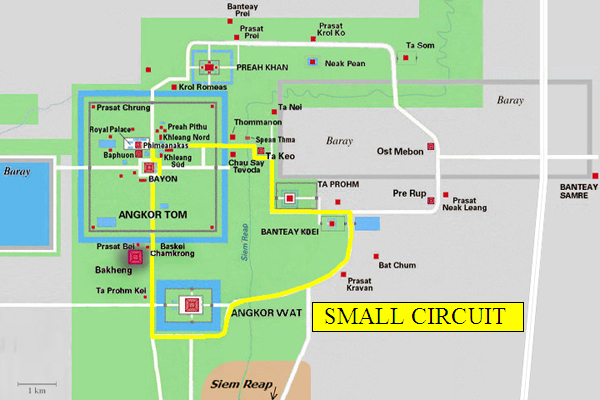 Don't get confused and thing that small circuit is the abridged version of Big Circuit. No its not. Both the circuits have different temples included. So what does each circuit mean ? The small circuit consists of 2 most important temples Angkor Wat & Bayon. The list of temples which you can visit are Angkor Wat , Angkor Thom ,Bayon , Ta Prohm ,Banteay Kdei to name a few. 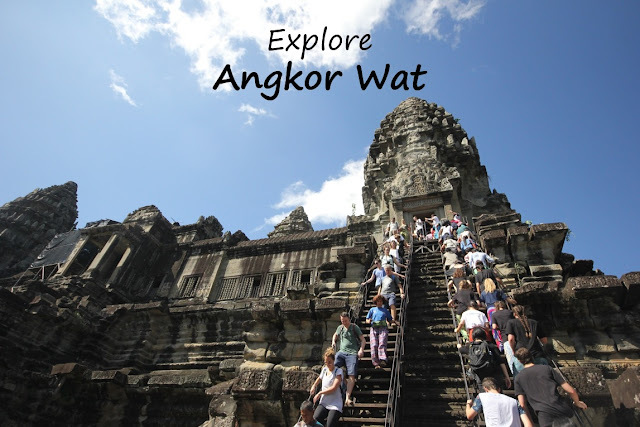 If you have just one day to visit Angkor Wat then just do the small circuit. 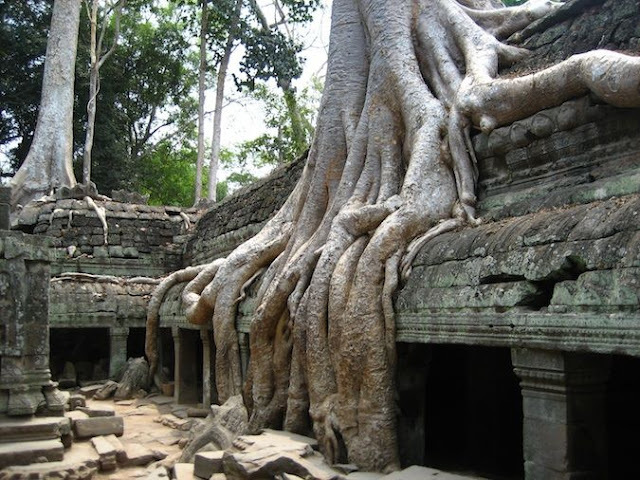 The most important temples you will see here. In the below map look for the yellow lines which shows the circuit. The small circuit tour is approx 20-25 Kms and hence be prepared to bear the heat. 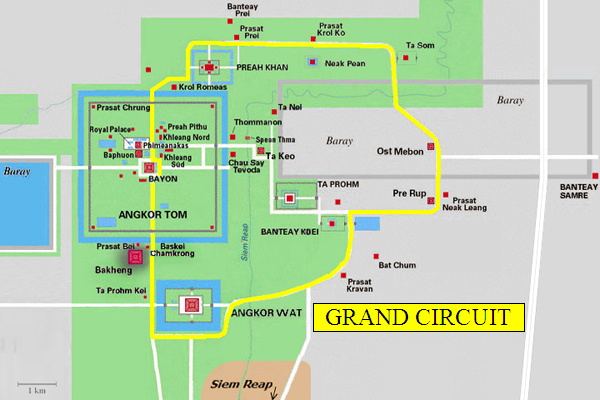 The grand circuit is almost 35-40 kilometers and will take an entire day to complete. 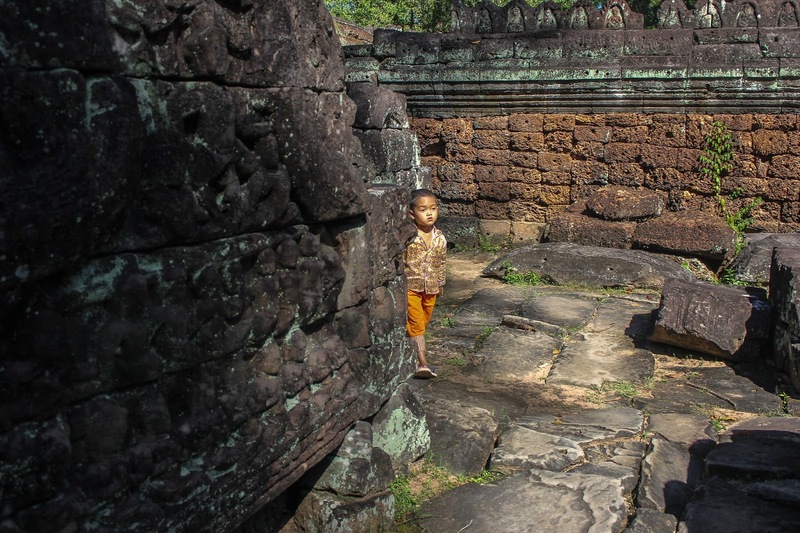 If you don't want to visit all the temples here then focus on Preah Khan , Banteay Srei ,Prasat Bei , Terrace of Leper King, Neak Pean & Pre Rup. 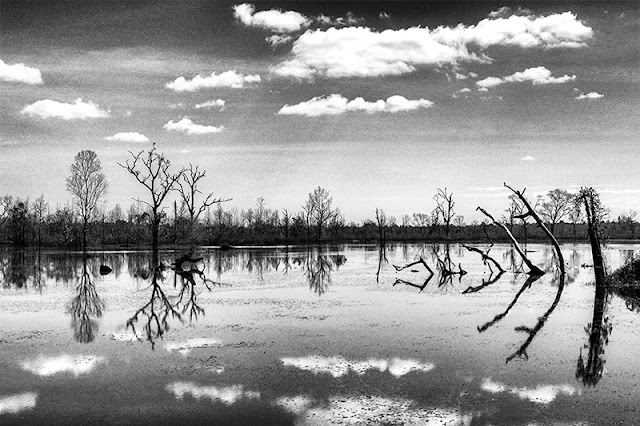 When you visit to Neak Pean temple you can enjoy the lovely view of the lake. 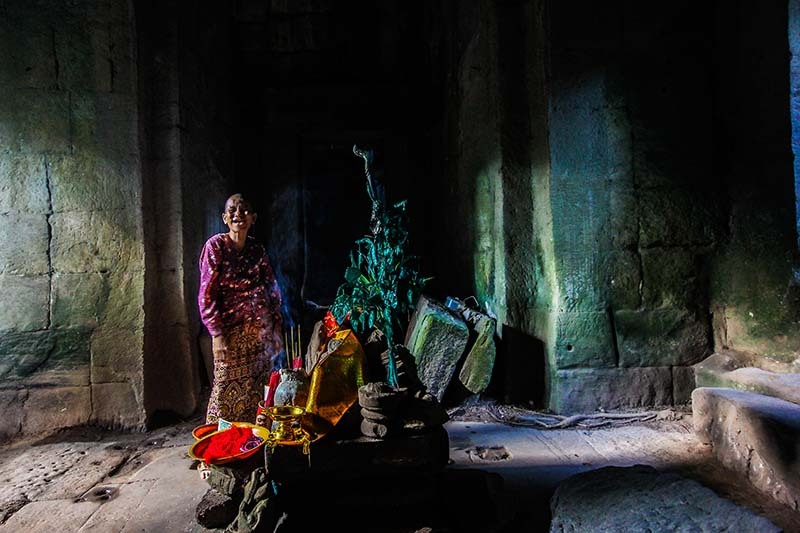 This temple is different from the others as it was build inside a lake. I am also a professional photographer.